Have you once tried to work a sampler? One starts with withdrawing threads and begins to embroider. Soon one notices, that – in spite of very carefully planning – one overlooked an important fact. What to do now? 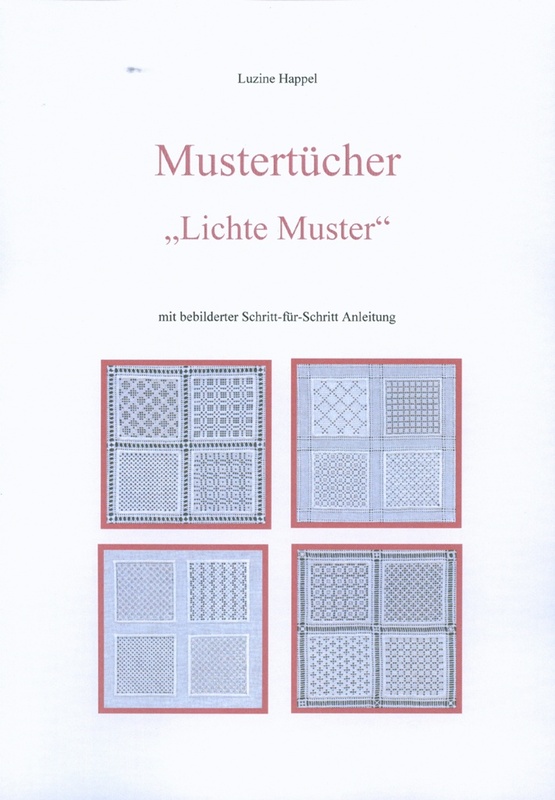 This book shows 7 different samplers with instructions covering everything, in great detail, from dividing the fabric into workable sections up through the finishing. The text is accompanied by respective pictures. 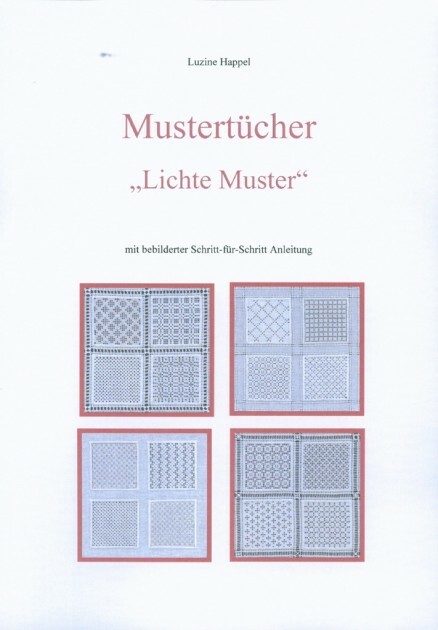 Also, there are 27 new variations on established Openwork filling patterns, all shown in step-by-step pictures. Because it is inelegant if one does not put a symmetrical pattern centred in a motif, in this book one can find important tips to avoid this mistake. One can look into the book in “shop”.